All new STI DVC L Black/Gold 40 S&W 2011 DS Pistol with 5 inch Black DLC coated Bull Barrel, new magazine release and magazine well. The DVC L Black/Gold 40 S&W represents the latest custom quality innovations in STI design. Performance minded slide cuts for enhance slide control, minimize forward recoil, and increase cycle rate. Added slide porting on the top and sides controls muzzle jump, and blends well with the overall DVC Limited appearance. STI Internationals DVC L Black/Gold 40 with 5-inch bull barrel finished in Black DLC for ultimate wear resistance and improved lubricity. Responsive handling and control is had by way of custom DVC texturing done by Extreme Shooters. 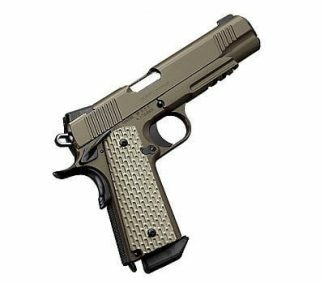 It gives the shooter enhanced grip and improved ergonomics. The sights are designed for quick reads and can be easily adjusted. 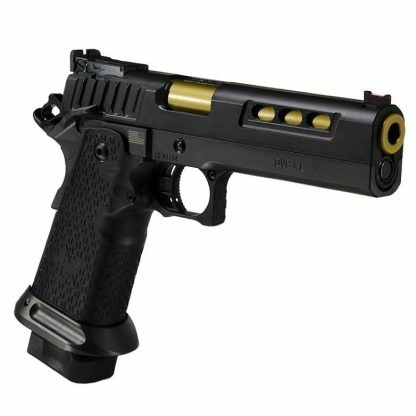 Xtreme Guns and Ammo has the Best Price on STI DVC L Black/Gold 40 S&W Pistols. Feel free to call XGA for all your STI Gun Needs at 832-363-3783. 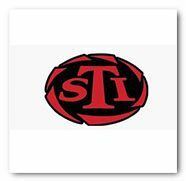 Shop more STI Guns Online!